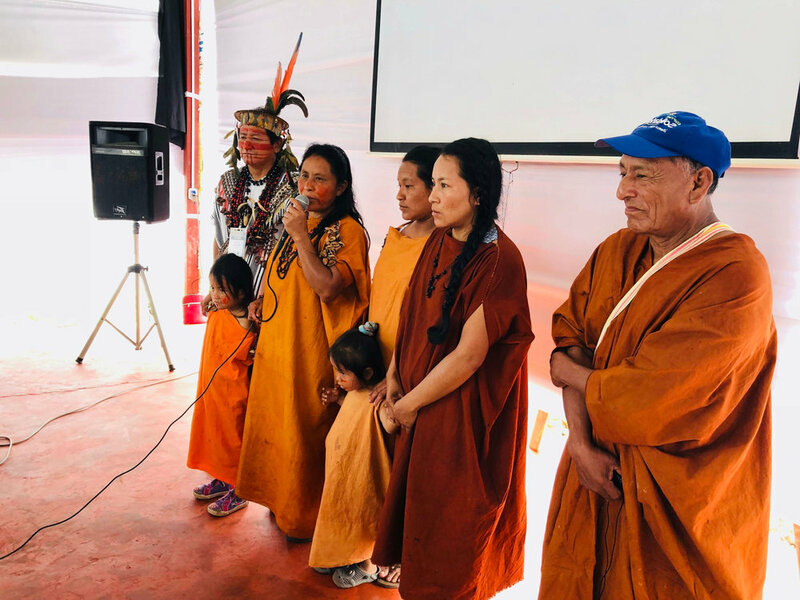 DGM Peru engages with the country’s native communities through partnerships with national and regional organizations, each representing several communities. At the national level, AIDESEP and CONAP form equal halves of the project’s National Steering Committee, each of which represents nine regional organizations which can implement DGM subprojects. One of the main focuses of DGM Peru is the enhancement of native community rights and land tenure. By strengthening their rights to their land, communities can help protect their lands and forests from illegal encroachment. The project has goals of supporting 310 native communities to achieve legal recognition and 130 communities to have their lands titled. DGM Peru also funds small community-led subprojects that contribute to sustainable forest management and improve food security and income generation. These subprojects focus on agroforestry, food security, and management of non-timber forest products. DGM Peru has set aside $500,000 for subprojects proposed and/or led by women. Tropical forests hold the potential to provide one-third of the near-term solution to mitigate climate change. 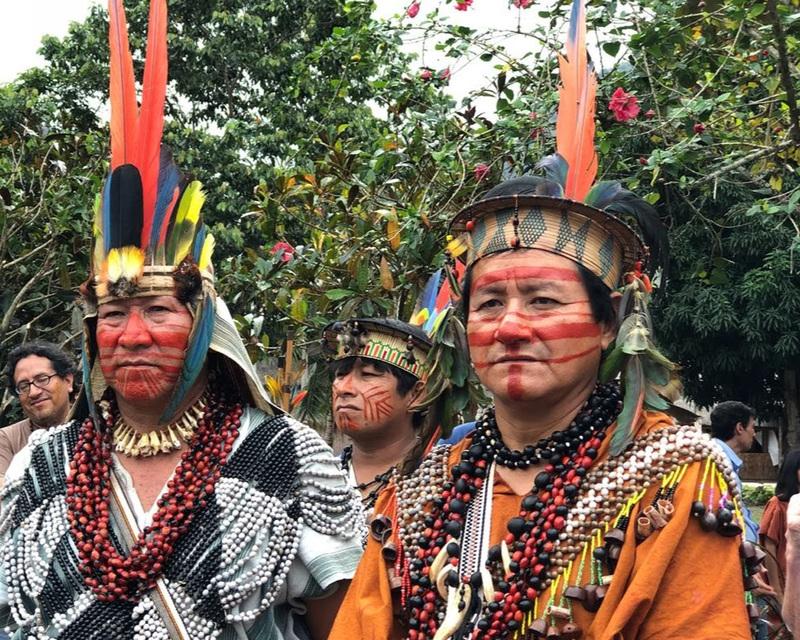 Growing evidence demonstrates that when the rights of Indigenous Peoples to their land and natural resources are respected, deforestation rates are lower than in areas managed by the government. Located in the northeast region of Peru – in the San Martin region – the Alto Mayo basin houses fourteen indigenous Awajun communities, settled across 146,529 hectares (a little less than 20% of the entire basin). Originally from the northern part of Peru, the Awajun emigrated from Loreto and Amazonas in the first quarter of the 20th century when they faced pressure from oil exploration, border conflicts, military presence, and colonization. Launched in April of 2018, Earth Observation for Indigenous-led Land Management (EO4IM) is a NASA-funded project being implemented by a team from Conservation International (CI). The project’s objective is to strengthen the technical capacities of indigenous organizations in the Americas – and globally through alignment with the Dedicated Grant Mechanism for Indigenous Peoples and Local Communities (DGM) – to harness the power of earth observation (EO) for enhanced sustainable land management. This year, we are excited to announce that the second Latin America Regional Exchange will take place between June 11-15, 2018 in Satipo, Peru. The exchange learning topics include titling of indigenous lands and territories, recognition of communities, management of natural resources, and a day of workshops on the importance of communities in land management practices and ecological monitoring. The Global Executing Agency for the DGM is hosting a planning and coordination meeting of 6 of the 7 DGM National Executing Agencies (NEAs) from Thursday- Saturday. We have representatives from the NEAs in Brazil, Burkina Faso, Democratic Republic of Congo, Indonesia, Peru, Ghana and Mexico. The DGM will be participating in two side events at the Indigenous Peoples' and Communities Pavilion at COP 22. More details inside! Indigenous peoples participants from Asia, Africa, Latin America and Russia at the United Nations Permanent Forum on Indigenous Issues attended a side event hosted by the DGM titled “Illustrating how direct funds governed by IPLCs can contribute to adaptation, mitigation, and conflict resolution” at the UN Headquarters in New York City on May 13, 2016. A massive blizzard did not prevent the DGM National Executing Agencies (NEA) from attending the Planning and Coordination Meeting with the Global Executing Agency (GEA), Conservation International, held in Arlington, Virginia. DGM Peru presents: "Saweto-Memoria Viva"
The Saweto Dedicated Grant Mechanism for Indigenous Peoples and Local Communities in Peru was approved in August 2015 and launched in Lima on October 9, 2015. Partners at AIDESEP have just released a video presenting the program (Spanish only). The first issue of DGM Digest has been released. The issue includes the announcement of six new countries to join the DGM as well as information about Peru's recently approved DGM Country Project.